Ipswich Spy have being doing some good political reporting on the Ipswich Borough Council Conservative Group leadership contest with their sources telling them there will only be two contenders for the top job: current Deputy Leader Cllr Chris Stewart and Cllr Nadia Cenci. Current canvassing looks as if Cllr Chris Stewart will win the ballot. This is not good news. As much as Cllr Stewart is an intelligent chap, who I have always found amiable, and instinctively is a Tory rather than a “wet” Cameroon, he is not exactly box office. The current Deputy Leader of the Tory Group might have a grasp of detail and could quite happily table and trundle through pointless motion after motion (which is all opposition parties can do) but he does not stir people to sit up and listen. His diction is at best monotonous, at worst, dare I say it, boring. With most of the electorate not even bothering to turn up and vote for local government councillors, do the Tories really want a man leading them who would not stand out in a crowd? But the Conservatives at Grafton House are in luck. They have a person in their midst, who despite having some strange views, DOES make people sit up and listen: Cllr Nadia Cenci. And she can actually be heard in a Council chamber: the acoustics might be bad but I can always hear every word Cllr Cenci says whereas when most councillors stand up they drone on to the point individual words don’t punctuate through the ether. Given politics is about the art of communication, this is a pretty dire state of affairs. I have not always agreed with Cllr Cenci. For instance, when she was Communities Portfolio Holder, during the Conservative-Liberal Democrat coalition at the Borough Council, I saw her give far much lee-way to so-called “charities”, some of which basically were businesses in another guise, but I always respected Cllr Cenci’s passion and active approach to her brief. When it comes to bread-and-butter Tory subjects like the economy, you couldn’t put a cigarette paper between Cllr Cenci and I. Nadia Cenci is no shrinking violet. She says what’s on her mind and be damned with the consequences. Some members of her own political group might not like this but the media love it. Cllr Cenci is a reporter’s dream: copy guaranteed on every occasion! Experience is also a big factor when it comes to choosing a leader. This does not mean they should be 101 years old and have done and seen it all. That is not experience, that’s just an ability to not die. Cllr Stewart’s Achilles heel is his lack of experience as a councillor with only two years spent in an Opposition role, which, frankly, is a basic level. Cllr Cenci on the other hand has been on the Executive Committee as a Portfolio Holder when the Tories ran the Council between 2004 and 2011: that counts for a lot when it comes to knowing how to deal with officers (ever a thorn in a Tory councillor’s side) and the politics of local government, skills which a Conservative Opposition will need in droves just to survive as a distinct force on the Council over the coming years. So, who do the Tories want to be their face to the public: a retired schoolteacher with a touch of the Sir Humphrey about him or a brash Anglo-Italian who, when she stands up and speaks, the blogosphere and the Ipswich Morning Star’s Mr Geater reach for their notebooks. How does the old saying go? All publicity is good publicity. You never know, there might be some votes in it – if I was standing as a Conservative candidate this year or next, I’d be happy with that. As a sidebar, it is disappointing to see two young Tory councillors sitting on the sidelines in this leadership election. Both Cllr Richard Pope and Cllr Kym Stroet sit in ultra-safe Bixley ward in the east of the town; they are both capable of taking on the mantle of leader but have decided not to throw their hat into the ring. The Conservative Group ARE going to lose seats in 2014: would it have not been wiser for Cllrs Pope and Stroet to step up to the plate rather than see the leadership being decapitated next year? Categories: Cllr Chris Stewart, Cllr Kym Stroet, Cllr Nadia Cenci, Cllr Richard Pope, Conservatives, IBC Tory Leadership contest, Ipswich Borough Council | Permalink. I learnt last night from Ipswich Spy that Ben Gummer has accepted a role in the Coalition Government as Parliamentary Private Secretary (PPS) to International Development Minister Alan Duncan. A PPS is the lowest rung on the greasy pole of Government and is unpaid although the level of access and kudos is certainly an enough reward for an aspiring Government minister, which in accepting this post Mr Gummer must be. But I am not sure this will happen any time soon as David Cameron is unlikely to do a big reshuffle before the next General Election in 2015. And without constituency boundary changes to correct the inbuilt advantage for Labour (now vetoed by the Liberal Democrats as “punishment” for Cameron ditching Lords Reform) it is looking unlikely the Conservatives will win the next election, with or without Boris. I am in full favour of a Conservative majority government but without more Conservative policies going faster and deeper such as debt reduction, actually implementing welfare reforms and getting a grip on immigration this is not going to happen and the Yellow Peril quite frankly can’t wait to jump into bed with Labour, once they’ve ditched Mr Clegg, so a new Conservative-Lib Dem coalition is never going to happen again. 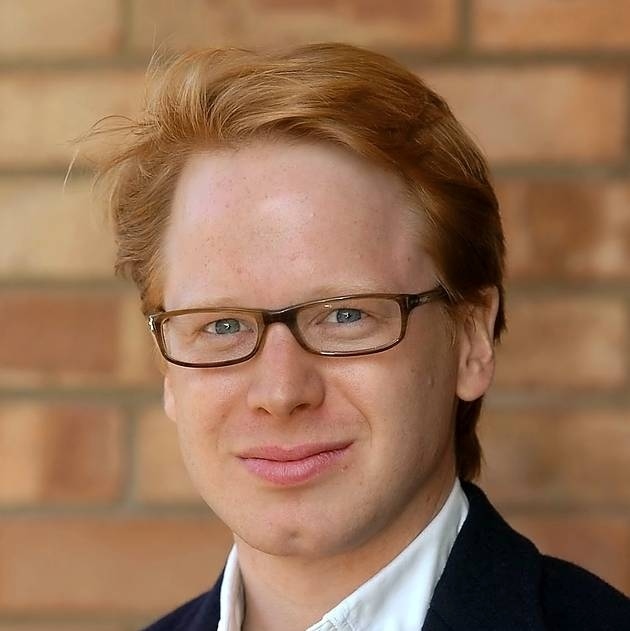 I would have hoped Ben Gummer had got a job in the Business Department or the Treasury as putting aside his bizarre views on the environment and Europe he is a proper Tory when it comes to the economy. But, alas, fellow Conservative Therese Coffey, the MP for the seat next door, Suffolk Coastal, has become PPS to Business Minister, Michael Fallon. I am sure Ben Gummer is an ardent supporter of International Aid, being on the Left of the Tory Party, but I hope his economics brain is at the forefront when working alongside Mr Duncan and he makes it clear that giving aid to India so they can buy warships has to end. Categories: Alan Duncan, Ben Gummer, Conservatives, International Aid, PPS | Permalink. It’s not as if this headline is shocking news. We’ve known it for years even before the crash of 2008. The last Labour Government knew the details of the multitude of corruption and immorality pervading the banking system during the boom years before 2008 with even a whistleblower from Barclays bank telling them the Libor interest rate charged by leading banks in London when lending to other bank was being rigged. But what did Gordon Brown and Ed Balls do with this information: nothing, diddly-squat! I wrote in January about how Capitalism has never grown up. I re-read it today and the words are very pertinent to this week’s news that Barclays Bank and perhaps many more of our UK banks fiddled the interest rates used for inter-bank lending on the money markets to ensure traders made huge profits and also made more money out of mortgage holders and credit card consumers, as the Libor rate also propagates down to interest rates we pay on our mortgages and credit cards. This must be illegal with the prison sentences not being in single figures but double-digits: 30 years, send him down type of sentences. Prosecutors should start with the Theft Act 1968. Like many ordinary people who work in the corporate sector in this country I am sick to my back teeth with the majority of employees getting paid a pittance for their work whilst a handful of executives and directors at the top trouser millions of pounds every year. As I’ve said before, anybody who works for a business and did not start it up does not deserve a salary of £1Million a year, and in my cases board members and CEOs of FTSE 100 companies are paid much much more. Unlike entrepreneurs like James Dyson, these FTSE 100 CEOs have never had to take a personal risk to do with the company in their careers. But still they are paid in some cases more than James Dyson can take out of his business as a salary. Capitalism has failed to mature since Thatcher unleashed free enterprise in the 1980s. She lifted millions of people, like my mother and father, into the burgeoning middle-class and they benefited enormously from captialism. But by the early-1990s, the FTSE100 elite had taken over the system and the first thing they did was pull up the ladder and hoard all the cash the companies make up in the board room. The directors, CEOs and bankers rigged the system so only 1% of a population now benefits from capitalism – the rest of us are merely slaves to the system. But as I said back in January, I am no socialist. I love the free market and capitalism. The problem is the ordinary worker has been locked out the capitalism system for nearly twenty years and we want back in – as is our right. 1. Strip Barclays CEO, Bob Diamond, of his director licence thereby forcing him to step down as CEO and board member of Barclays Bank. He can then fly back to Massachusetts with immediate effect. 2. David Cameron must order a judge-led enquiry – Leveson-style – into the working practices and ethics of the banking sector in the UK. The peasants aren’t as stupid as the finance sector elite and the Government think we are. We might just revolt unless our anger can be vented. Categories: bankers, banks, capitalism, Conservatives, Labour | Permalink. Who do you think you are kidding Mr Cameron? The Prime Minister yesterday gave a good speech on the subject of the welfare state in the UK. Everything he said has been said before by the Right of the Conservative Party and the right-wing media. Nevertheless, it was good to hear it from the lips of David Cameron, who is, at best, slightly distrusted by many in his own party in terms of his natural Tory instincts. Many backbench MPs and even more party members keep asking themselves: “Is he one of us?”. The jury is still out on that one. However, I agreed with every word of Mr Cameron’s speech on removing housing benefit from those under-25 who have a room at home with their parents. I’m sorry, if you are under 25 and you want your own pad and more importantly independence from those nagging parents then you need to work for it. Get qualifications, get a job and then you will get your OWN money to pay for accommodation. The state does not owe you independence from your parents. Period. You have to work for life’s pleasure. No one owes you anything, especially the hard-pressed taxpayer. The tax take from ordinary workers in the UK is massive. Did you know every penny collected in income tax is spent on state benefits? Approximately £165 billion. £84 billion of this is spent on working-age benefits, which comprises Jobseeker’s Allowance, housing benefit, child benefit, Gordon Brown’s beloved tax credits etc. When voters are told how much of their monthly tax bill is spent on paying people to sit at home all day on their Xboxes they are livid. Polls say 74% of the public think welfare payments should be cut. The UK’s welfare system creates a very perverse society. Take the young couple, outside of London, who have no intention of working having a child. They are automatically given a council house and when all the different benefits are totted up you are looking at more than £27,000 in benefits tax free. Another couple next door, one a hospital porter, the other a care-worker, both work long hours each day and together take home £24,000 a year. They would love to have children. But after they have paid the mortgage or rent, paid for food and the bills, they know they can’t until they saved for a few more years: they are doing the right thing. It is wrong that their hard earned money paid in tax is handed back to the work-shy couple next door to enable them to have children with full assistance from the state. Work should always pay more and until the Government’s benefits cap of £26,000 is actually implemented, which it won’t be until next year at the earliest because the complicated IT system required is yet to be fully developed, people who don’t work and receive state handouts are better off than those who do work. Our country’s benefits system was gold plated during the Blair and Brown years to deliberately create a client state where one generation after the next in the same family were encouraged to live a life on benefits, at the expense of you and I. That is not what the welfare state, envisaged by William Beveridge, was meant to be for; it is a safety net for those who fall on hard times, it is not meant to be used as a way of life. Life on benefits should be tough. Work should always pay more and, frankly, able-bodied people of working age should find a period of time on benefits so difficult they should be desperate to get back to work; as part of the “tough love” approach, benefits should be time-limited to act as a motivator to find work. As it stands in this country, many school-leavers choose claiming benefits over ever trying to get a job because living off the state is such a comfortable option. By next year the Welfare Secretary, Iain Duncan Smith, promises the £26,000 benefits cap, equal to the average wage, will be in force. But let’s not forget all benefits are tax exempt. Claimants don’t pay tax on them. Therefore, to take home £26,000 if you are working means you would need to be on a salary of £35,000 per year. This is madness and must stop. I look at my monthly pay slip and thousands of pounds of year go to the Exchequer. That money only pays for benefits and state pensions. It doesn’t pay for education, defence, or even the millions in contributions to the EU we must send to Brussels each year. All that must come from other tax revenue we pay such as stamp duty or fuel duty – or, most likely, borrowing! Another point made by Mr Cameron in his speech yesterday was minor but nonetheless important. He pointed out that those who claim benefits are called customers by the local council or job centre. The PM rightly pointed out they are not customers, they are claimants. When I was a local councillor, reports were full of the word ‘customer’ or ‘client’ when referring to benefit claimants. When someone pays for a service they are a customer. If something is given to someone, the word customer does not apply! This language just rubs salt into the taxpayer’s wounds. Now, of course, all of the reforms David Cameron hopes for will probably never be implemented. Not in this parliament because the airy-fairy Lib Dems won’t let him and after the next General Election there is a high probability Labour will be back in charge, due to the indecisive and weak government Coalition brings. I hope that won’t be the case but fine words from Mr Cameron’s inner Tory won’t be enough next time round – the electorate needs to see action and now. 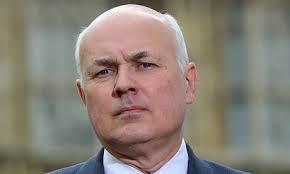 Categories: benefits, Conservatives, David Cameron, Iain Duncan Smith, Liberal Democrats, welfare | Permalink. I think the Conservative high-command will soon have to wake up and smell the coffee. A poll commissioned by Channel 4 News from ConservativeHome has found 70% of Tory members would vote “Out” in an In/Out referendum on Britain’s continuing membership of the European Union. This is not new information – most commentators would have reached for the 70% figure if not higher. But it is interesting how polls on an EU referendum are now being seriously reported on by the broadcast media and by an outlet – Channel 4 News – not exactly renowned for being on the Right of the debate. It is also a timely reminder that the Conservative leadership, especially after the decision by Cameron to jump into bed with Clegg, is way out of touch with its base. Unless something is said by David Cameron along the lines of “You know what? You’re right. I am off to Brussels to negotiate the UK’s relationship with the EU tomorrow”, then we can expect a haemorrhage of Tory supporters to UKIP in the European Elections in 2014. If that happens, then UKIP will overtake the Conservatives and come first in the poll. By then it may be too late for the Conservative Party to save their credibility on the subject as Channel 4 News Political Editor Gary Gibbon reports here. Polls also show the general public split 50:50 on the In/Out question. It is a British political fault line which has to be tackled by our political servants at some point and that time is fast approaching. You have to be over 55 years of age to have been given the opportunity to vote on our membership of the EU or the EEC as it was cunningly called in those days. To be denied a referendum despite 1975 being a generation ago is wholly unacceptable. The EU is a political organisation and has a highly undemocratic Commission which makes 70% of our laws, stripping away the ability to run our own affairs. The technocrats in Brussels and Strasbourg (where the EU Parliament decamps to every month to appease the French) would rather the birthplace of democracy – Greece – go to hell in a handcart than admit the European Single Currency was a mistake with no economic grounding. I don’t want to be part of this “club” and would rather look out to the world to do business than primarily looking into the slowest growing economic bloc (the European Economic Area) in the world. At present our trade outside of the EU is heavily restricted by Brussels rules – once we had extracted ourselves from her clutches we could leverage our language (the world’s business language of choice), our historical links with the Sub-Continent and represent ourselves in the World Trade Organisation rather than be hidden under the banner of the EU. That’s a Britain I would be proud to be part of: an independent country doing business across the world in the world’s language. Categories: ConservativeHome, Conservatives, David Cameron, EU, EU referendum, UKIP | Permalink. There was a reason Labour didn’t touch the top rate of income tax until Gordon Brown finally allowed insanity to take a grip on him. Because they knew it fed economic growth and brought in the billions of taxes for them to spend on creating the client state with millions gratefully dependent on Labour handouts. However, this all changed when Gordon Brown in a stroke signalled to the rest of the world back in 2009 that Britain was not a fan of business when he raised the top rate to 50p. Britain, along with Germany, was the financial powerhouse of Europe during the years when the rate at which the Government stopped taxing income was held at 40p. Gone were the days of Labour Governments raising income tax to 83p and Labour Chancellors saying the “tax the rich until the pips squeak”. Britain was open for business. But after thirteen years of profligate spending during the Blair-Brown years the chickens came home to roost and the economy took a nose-dive. Gordon Brown saw his opportunity to whack up the top rate to 50p and thereby slammed the UK plc shop door firmly shut. Labour were duly kicked out of office in 2010 and we then had a Tory Chancellor in George Osborne who instinctively knew he must reverse Brown’s decision and take the top rate back to 40p. It would put the open sign back on the UK plc shop door. It wouldn’t solve the financial crisis overnight but it would certainly turn us in the right direction. The proof is that low taxation grows economies as was seen in the 1980s and 1990s until Labour got their wrecking ball out in 1997. Nick Clegg is a man who leads a party which has only 1/6 of the seats in the House of Commons but is treated by the Prime Minister as if he is the senior partner. What would have happened if Cameron had said “no”? Nothing. Clegg would have buckled and ordered his troops to go through the Aye lobby to rubber stamp the Budget. Because they will always put the ministerial limo before their principles and we would get a good Tory Government backed up by the Yellow Peril. But instead, Cameron caved into Clegg and we have a Liberal Democrat-led Government as a result. It’s working out, isn’t it? Watching Cameron tonight I saw a very good salesman who could have sold Conservatism but chose to sell himself and it isn’t enough. If staunch Tories like Tim are saying this openly, Cameron is in trouble. As I’ve said before, we should never have gone into coalition with the Liberals. If we had gone to the country again in October 2010, we would now have a Tory majority Government and if Cameron dared to behave like this in a pure Tory Government, he would be gone in that “sudden, unsentimental and brutal” fashion very soon indeed. Categories: Conservatives, David Cameron, economy, George Osborne, income tax, Liberal Democrat, Nick Clegg, Tim Montgomerie | Permalink.